In Part 1 of Shannon's Senior session, I alluded to the story... well, now here is your chance to get the whole story. It's about three generations and their rainy day traditions. It involves splashing in puddles, and we caught it on film. Our fusion films are something that make our sessions truly unique and special. 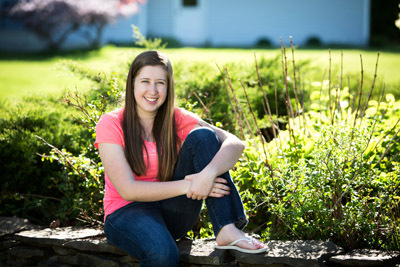 This one is about three generations, while keeping the spotlight on Shannon- a senior at Rush Henrietta High School. If you watch, you'll also see some behind the scenes footage, and we added a little intro about why I love photographing seniors in the beginning. Without further ado, meet Shannon, Kathy and Gail. I still remember getting emotional when I was photographing Shannon and Gail together. It's a good thing I had the camera in front of my face, because as I clicked the shutter, I thought... man I wish I had an image like this with my grandma. And then my watery eyes brightened as I realized, I am so glad I can create these photos for Shannon. I know in my heart these are treasures, and I am so happy to make them come to life. We thought we'd share a little throwback today. To warmer times, a beautiful summer night when we created a fun fusion video for one of our awesome 2016 seniors. Back in September we showed you some of Aleigha's Downtown Senior Session. If anyone could pull off an urban look, it was definitely Aleigha. What we didn't show you then, was this awesome fusion video. We combined video clips with her fabulous photographs to create her own highlight reel. It's a fun and unique experience for a senior session. Check it out and leave Aleigha some love as she gets closer to graduating! Becky & Dan's Fusion Wedding Video! Photography tells a story; video tells a story; together they tell the whole story. We loved Becky and Dan's wedding day farm transformation, and showed it off a little in this prior blog post. However, there is much more to their story, and I invite you to learn a little more about their day and the preparations that went into it. We worked with Duprey Video Productions, who incorporated our still photographs into their video highlight edit. The result is what we call fusion, the best of both worlds. So grab some popcorn, sit back, and enjoy this amazing love story! Rebecca & Daniel from Dave Duprey on Vimeo. From our first meeting with Becky & Dan we knew theirs was going to be a great story to tell, as we learned about the final decision to have their wedding on their own farm. The transformation of this property & it's buildings is simply amazing as 200 guests will attest to. With a few pictures from Becky and a brief interview with both sets of parents, we were able to give you an idea of their accomplishment. The ceremony was beautiful and reception in "The Barn" was elegant yet rustic. Once again we have to say what a pleasure it is working with photographers Lori & Erin http://www.lorianderin.com The stills you see incorporated into this "fusion" piece are creative and artistic, enhancing the video content we have to work with in the final edit. Thank You! Congratulations Rebecca and Daniel. It was a pleasure working with you. Leo's senior portrait session was unlike one we've ever photographed before. I'm seriously excited to show you these images, and the fusion video we created to go with it! 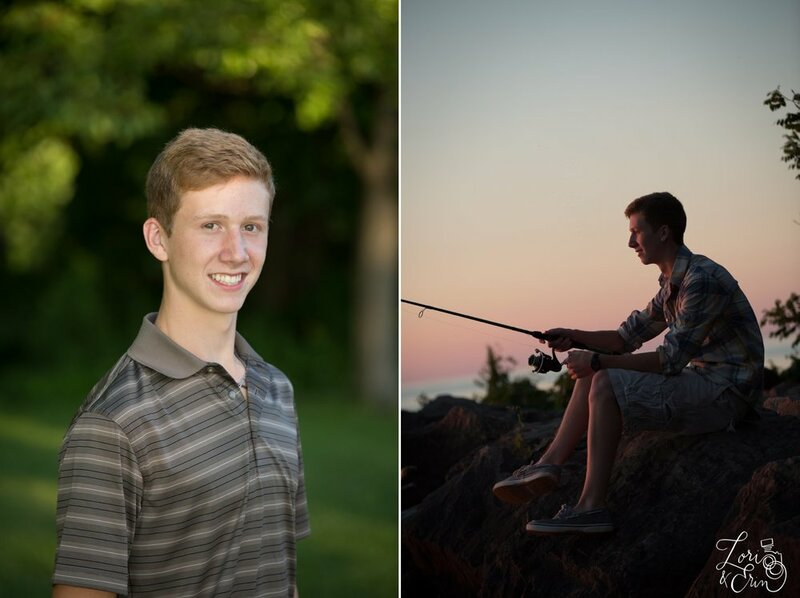 Leo is a fun, outgoing 2015 senior at Penfield High School. 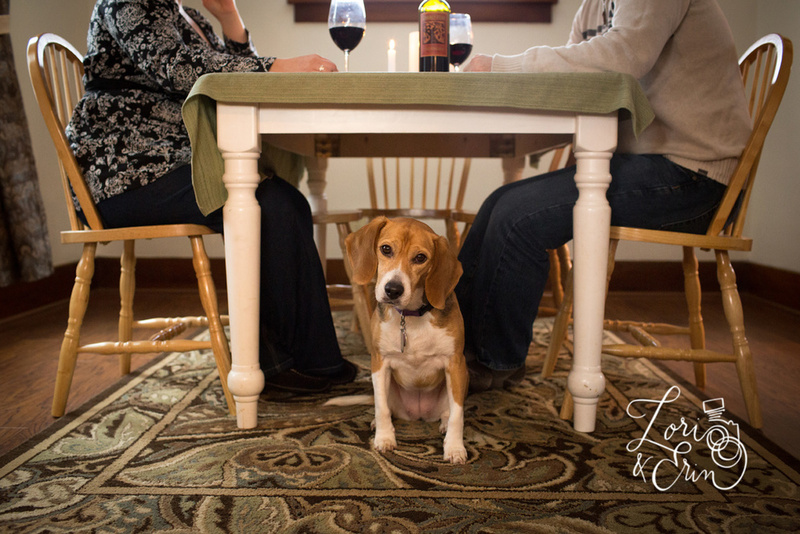 When we talked about all of the things he wanted to incorporate into this session, the ideas just started flowing! He's really into cars, and has a super terrific uncle who let us borrow this beauty of a classic car for the day. I just LOVE some of the images that came out of it, and Leo looks like that car suits him well! Leo also enjoys his guitar, snowboarding and fishing in his free time, so it was fun to incorporate all of those into his session as well. We hope you enjoy this fusion video as much as we enjoyed making it! Let us know what you think, or upgrade your session to a fusion session to add video clips and tell your story in a different way. Below are a few of our favorite still captures from the day. Thanks so much Leo-- you were incredible to work with and everyone had a great time! Enjoy your senior year! Sharing our days with you and your families is so special to us. We love capturing everything from the wedding to those newborn tiny little feet, and watching them grow. We enjoy being a part of your lives, while we continue to live our own. But there's nothing like watching a family grow, especially if it's your own! So without further ado, I'm excited to share some great news about my own little family. We've been waiting ever so impatiently to tell the world! Check it out in the video below! Yes, we are soon to be welcoming two tiny new feet into the family! So for now, I'm going to put aside my wine, and enjoy a little extra ice cream instead. Thank you to our family and friends who have supported us this far, and will continue to do so as we enter this amazing, yet totally sleep deprived, new chapter of our lives! We can't wait for you to meet him or her in September! Did you say wine? We're in! We set up shop at Ventosa Vineyards in Geneva for the perfect setting to show off wine jewelry & charms. We grabbed video clips from their first look, portraits, vows, entrance, and dancing to add to their collection of photographs from the day. I'm so excited to share this post as it's the first of it's kind. Well, sort of. We've been doing fusion style videos for a few years now, but this is our first opportunity with a high school senior. Remember Kathryn? Well in addition to some awesome still photographs, we included some fun video footage and put together this highlight piece for her. It helps show off even more of her great personality and amazing smile! Fusion is a unique offering at our studio and available as an add-on to all of our sessions. We think it adds a unique touch to any session. Check it out and leave a comment with your thoughts! Want your senior portraits to be unique? Call today for preferred scheduling!